The Grand Prince Hall Freemasons, the descendants of Dahomey Kingdom (Benin) 1600-1894. 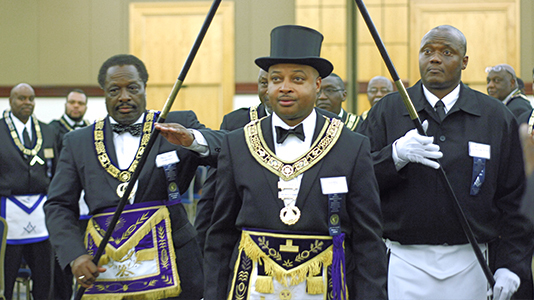 A group of Prince Hall Masons from North Carolina arrived in Cotonou, Benin last month for the inauguration of a new grand lodge in Cotonou, the cultural significance wasn’t lost on the masons from Benin. The ''African Grand Freemasonry Lodge'' was established by Prince Hall an African descendant hailed from the King of Dahomey (Benin) in the late 18th century. His parents were sold into slavery, but he rose as a redundant freeman and instrumental abolitionist fighting to free black community in Boston and the rest of North America. He lobbied for the black children to get education rights notably at prestigious and most forbidden education centres such as Cambridge and others. Prince Hall also helped in formulating a military order for the Chapter, which later inspired the Black Panther Movement in the 1960s. After the American Revolutionary War (1775-83), a formerly enslaved man from Massachusetts who had fought in the war for independence was attracted to Freemason ideals like brotherly love, justice, and liberty, but the exclusively white group wouldn’t allow a black man to grow in its ranks. One Afro American abolitionist, Prince Hall, wasn’t ready to take no for an answer, though. With all the traditional tenets of masonry, he decided to start his own group of masons. The group was granted a full charter in 1784 by the Grand Lodge of England and now has chapters all over the world, including in West African nations besides Benin, like Ivory Coast, Burkina Faso, and Liberia. Prince Hall Masons in West Africa number into the hundreds, though the organization would not provide an exact number of members. 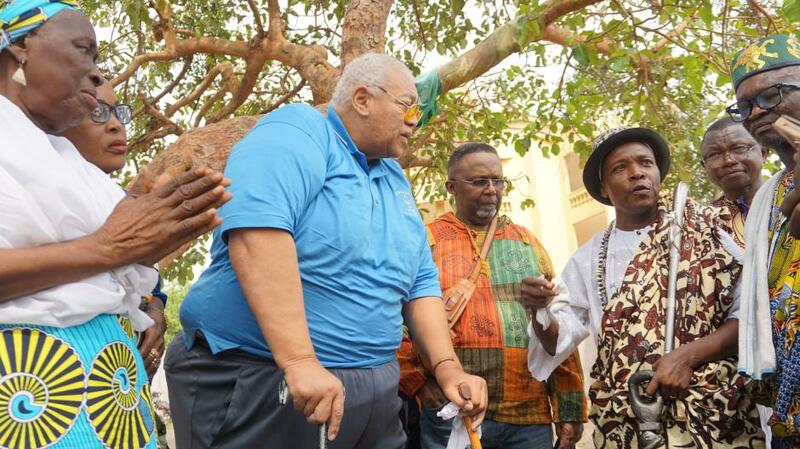 Milton Fitch a Prince Hall Mason from North Carolina visits the Slave Route in Ouidah,Benin. The inauguration of a Prince Hall lodge in Benin, where more than a million Africans, sold into slavery, departed the African coast, made the Masons from Benin emotional at the mention of it. But it wasn’t just the building. It was the fact that a delegation of African Americans had made the trip for the event. A sect of Freemasons born out of the type of discrimination that had never been seen in Benin, yet which the Kingdom of Dahomey (now Benin) had indirectly sanctioned by way of its participation in the slave trade was now welcoming black Americans to Benin. To the Beninese masons, it was like a rare moment to right the wrongs of history. “We have to welcome our brothers back. We want to say that we’re sorry for what happened all those years ago,” said Ismael Ogon, a French-speaking Prince Hall Mason from Cotonou. At the inauguration, sentiments like these were echoed over and over by the Beninese Prince Hall Masons. In the United States, Prince Hall Masons have been a part of several landmark struggles for black civil rights, according to Milton Fitch, a state Senator from North Carolina, who presided over the inauguration. 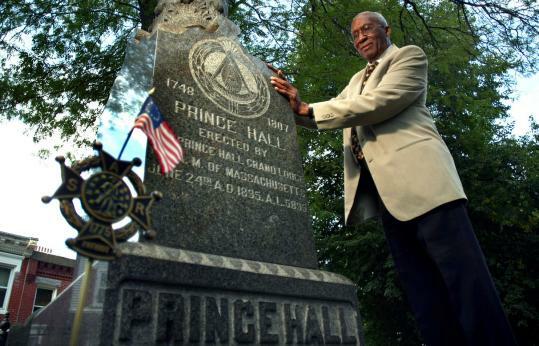 “Anywhere there have been achievement for black folks, Prince Hall Masons have been a part of it,” he said. A day before the inauguration event, the black American and Beninese Prince Hall Masons took a guided tour of the Slave Route in Ouidah (Route d’esclavages), a UNESCO-sponsored site of stops along the road where enslaved people walked to the port to be taken abroad in chains. Red T Mitchell Jr, a member of the Prince Hall Memorial Fund's committee, at the existing monument to Prince Hall in Copp's Hill Burying Ground (on the Masonic Walking Trail) . The tour includes stops at sites like Place Chacha, where Africans were auctioned and branded with markers of sale before making the arduous walk to the ocean. At one stop, The Memorial of Remembrance, the group took a moment of silence for the enslaved people who died even before boarding the ships. Cosmo Kenton, an American Mason, was moved by the the gravity of the tour, but he didn’t entertain any illusion about the significance of his trip. “It’s significant for me, but I can’t speak for anyone else,” he said while standing at the Door of No Return, a monument to the site where slave ships left port on the shores of the The Atlantic in Ouidah. For Kenton, the beauty is in the symbolism of his “return” as a member of a group of black men that values freedom, integrity, and social service. But he’s not sure that outside of the circle of masons, the question of reconciliation for the evils of slavery between African Americans and Africans carries much weight to the average person on either continent. With the rise of heritage tourism in places like Ghana, Benin, and Liberia, people of the diaspora who come to Africa seeking a genuine connection with the region of their ancestry sometimes encounter the reality that many people on the continent do not feel the connectedness of shared ancestry that people of the diaspora envision. As of 2017, the Beninese government planned to invest $1 billion in tourism. The tourism sector would like to attract people who visit Benin to discover the cultural heritage of Vodun and natural sites like the floating village of Ganvié and Pendjari National Park, but is also looking into how to attract people who are interested in heritage tourism, according to Berenice Akinotcho, a communications specialist at Sémé City, the government-backed “international knowledge and innovation city.” Most of the investment will come from private partnerships, according to José Pliya, the Director of the National Agency for the Promotion of Heritage and the Development of Tourism. Benin has already secured investments from the World Bank, the International Monetary Foundation, and partnerships with the African Parks Network and the Smithsonian Institution. The country, known as the birthplace of Vodun, plans to draw 700,000 tourists by 2021. To that end, the government launched an open call in 2017 for proposals from entrepreneurs for ideas on how to improve Benin’s travel destinations. The winners of the challenge received $500,000 for the projects and an incubation period to develop their ideas at Sémé City. It is true that without a DNA test, diasporas can’t be sure of exactly where they are from in Africa. Enslaved people in the United States mostly came from Senegambia and The Gold Coast (Ghana), while enslaved people from the Bight of Benin mostly went to the French Caribbean, Cuba, Trinidad, and Brazil. Centuries of cultural diffusion and genetic intermingling have shifted the people’s kinship so that Africans and black Americans are more like distant cousins than brothers. Towards the end of the evening, the state senator Milton Fitch led the gathering in a rendition of “Amazing Grace,” a Christian hymn written by a former slave trader that’s a staple African American spiritual. From all indications, each Mason present was rapt with the emotion. Judging from the warmth in the room, the symbolism of their bond was enough.